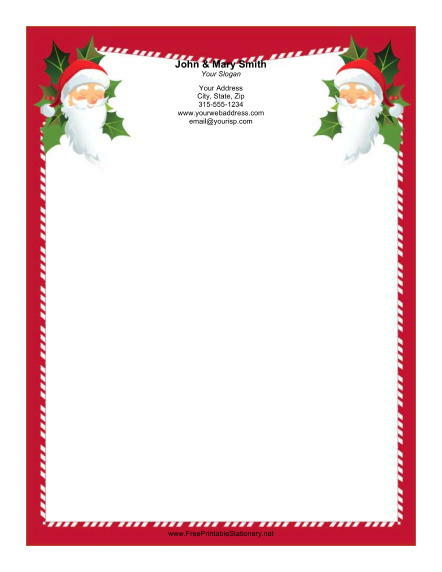 This Christmas stationery design features a pair of Santas with sprigs of green holly. They are surrounded by a border of red and white candy canes with a red background. This classic Christmas frame is the perfect festive paper for writing annual family newsletters.